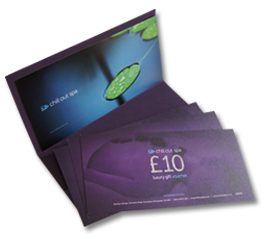 Chill Out Spa and Beauty Gift Vouchers and Membership Subscriptions make a perfect gift for all occasions. We can design and tailor-make a gift voucher ‘package’ to suit your required budget or alternatively, simply provide monetary vouchers so that the lucky recipient can choose their treatments themselves. Sign-up to our Chilled Membership scheme today from only £9.95 per month and start receiving more benefits and rewards. *All our vouchers are valid for 12 months from date of purchase. 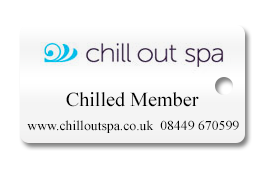 Vouchers can only be redeemed against treatments or products in Chill Out Spa and cannot be exchanged for money. **Please note the monthly subscription offer ‘Chilled Membership’ will renew automatically with payment being taken every month during a 12 month contract period. On the anniversary of you joining we will invite you to renew your membership for a further period. However, you may also exercise the option to cancel at this time. Membership discounts apply to normal retail prices and cannot be used in conjunction with any offers or promotions. Subject to full written terms & conditions available on request. Management reserve the right to change or withdraw this offer at any time without prior notice.